Fresh handmade quality desserts for the catering trade. 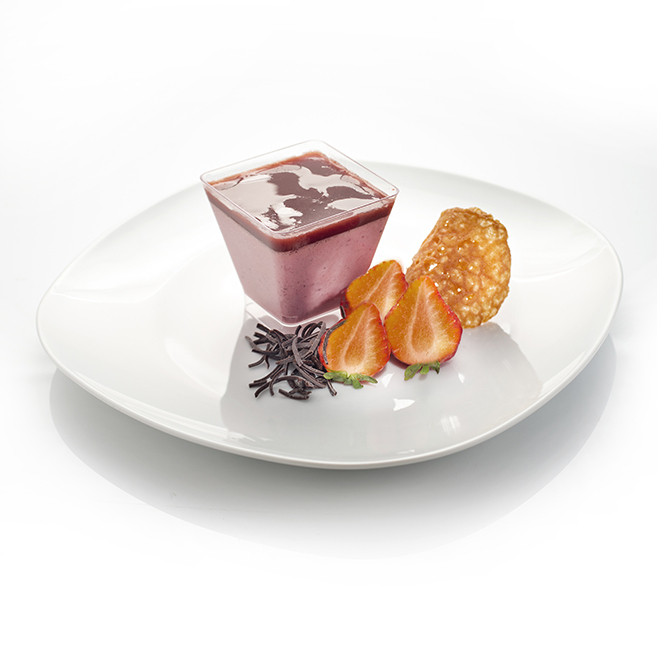 Try some of our coulis and chocolate sauce to decorate with and add value to your plated desserts. A traditional trifle of sponge, raspberries soaked in sherry, rum & brandy with added chocolate sauce, topped with custard & cream. 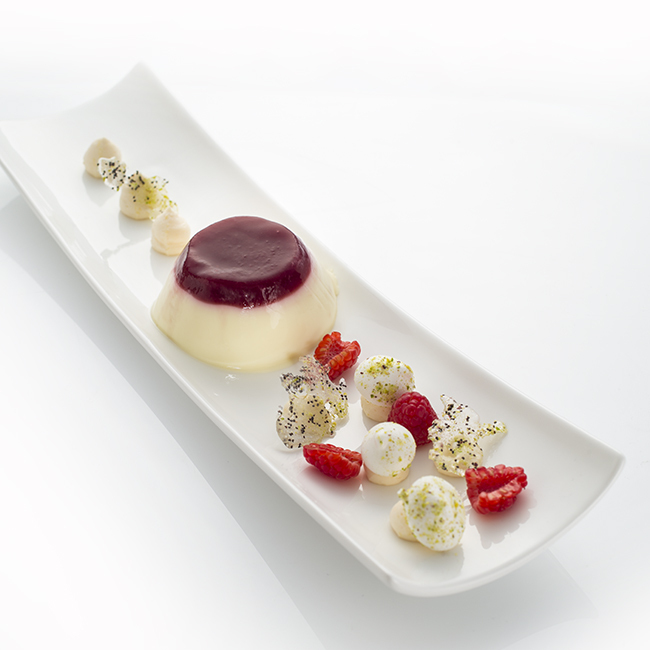 Set Italian cream mixed with strawberry puree and topped with strawberry glaze. Vanilla sponge with raspberry and sherry jelly, topped with custard & cream. 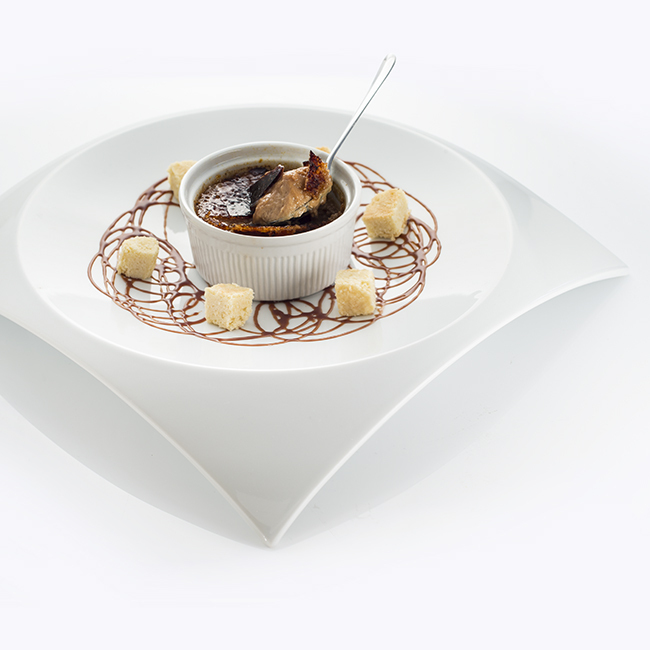 Dark chocolate cup filled with a traditional tangy lemon posset. 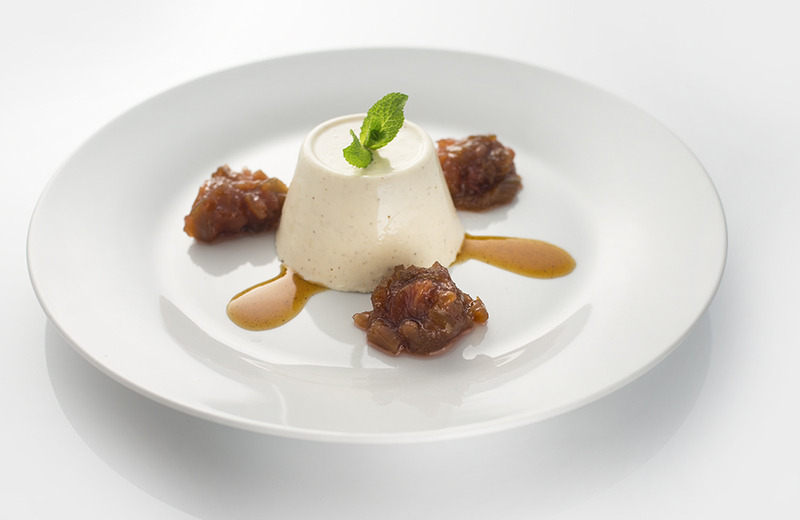 The creaminess of this classic Italian dessert is set off perfectly by the accompanying tangy rhubarb compote. A rich and creamy vanilla brulee also known as Cambridge burnt cream is cooked in a ramekin and delivered ready for you to caramelise (other flavours available on request). (A deposit of £1.00 per ramekin will be charged and credited on return). A rich and creamy vanilla brulee flavoured with chocolate and orange, cooked in a ramekin and delivered ready for you to caramelise. Layers of bread soaked and sandwiched with mixed berries. Sweet pastry filled with fresh banana & toffee, piped with cream & sprinkled with pistachio nuts.